PLAYM8 ® Plastic Flags 10 Pack are an easy and cost effective way to mark out a playing area, cricket flags and markers, running track, obstacle course or pitch boundary lines. 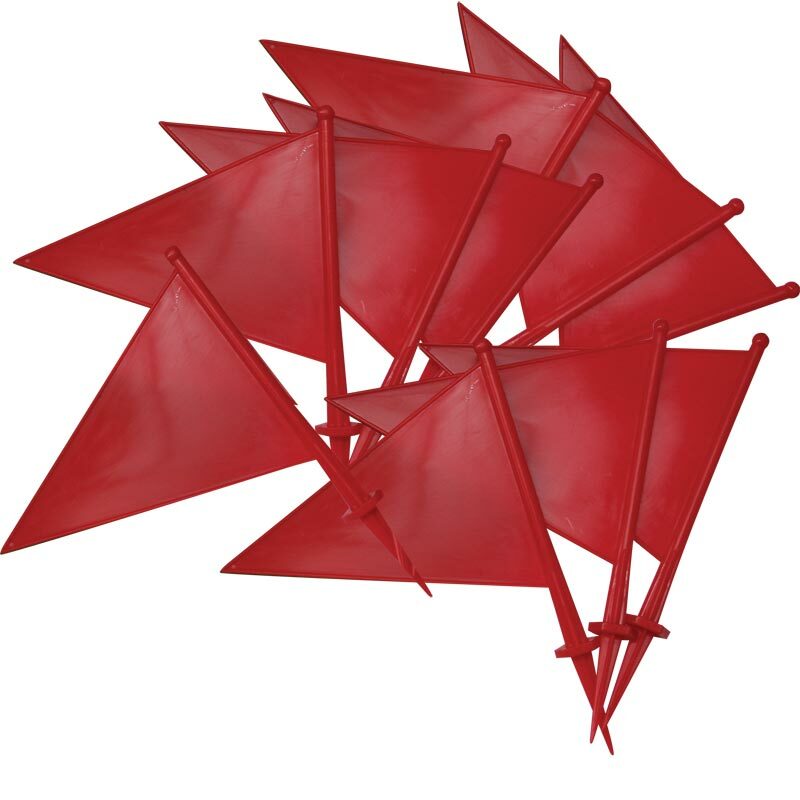 Set of 10 marking flags. 290mm overall size (210mm above ground) with spiked end to push into ground. Made in the UK from virgin polypropylene. Flags available in red colour.